Heya Therese and future commenters! I will eventually remember you. Hello to you all, whenever you may be! Hi, Happy Cyber Monday Eve, everybody! the backward B is backward. Very little to no family anxiety! Lots to eat. Maybe too much to drink. More importantly in my world, from The New Odd Couple. I was shocked at the lack of political discussion at my family's gatherings. The only thing I heard was someone saying "Tom Brady thinks he's 'all that' just like Al Gore does." Pauline Oliveros, rest in peace. lots and lots of cake and some irish whiskey. not much else. @coela: Hey, you could save time by just serving one whiskeyed-up cake, light it, and serve! - do we eat it flaming? I blew out a flaming dessert in Argentina almost immediately, and they acted as if I should have kept it going for longer. Maybe take a moment to behold the flames? I imagine anyone not from the circus would blow it out at some point. Thank you therese, for the Floyd. it's good to be reminded. The playlist system seems to enjoy autopopulating incorrect info for this Pink Floyd CD. Well at least you spotted the much worse error of the CD sleeve getting it wrong. Geez, you can't just be so glib in front of a DJ about Pink Floyd's timeline!! When did Pink Floyd jump the musical shark, as opposed to when they became a boring soap opera? I like to tell people about the time Darren brought Larry Tate home for dinner and right before he got to the house, Uncle Arthur conjured Benjamin Franklin into our living room. I was so embarrassed! Thanks, Uncle Michael! Hope to see you around these parts soon! UM i suppose you're right but despite the soap opera-ness of it i like, if not love, every album until the the wall abomination. ...but yeah, pretty far from the Syd Barrett days. Did nobody from Black America sing Starr? Octopus's Garden? I ask you. it's at the bottom already. Heavy! Unfortunately Otis Redding died in '68. If he hadn't, I bet he would have done a *killer* cover of "Don't Pass Me By". They're probably calling to give you a "heads up" about incorrect track listings on other Pink Floyd CD's for future reference. Matt - that IS too bad! @Therese: You haven't yet watched Westworld in my timeline! Beaver In Overalls, opening for Carrie Brownstein's new side project. Ringo always envisioned his song as C&W even years before recording it, but I'm sure one of those guys could've given a proper soul imagining to it. When I was very young we had a dog named Duchess. It did not like being left alone at home. One time we returned home to discover that Duchess had removed the eyes from my Dapper Dan doll and started pulling the stuffing out of his head. It was a traumatic moment. @BGZ: Is that a Barbershop doll? Red-striped, and then slowly chewed out from the inside like an Italian horror movie? @Matt: Dapper Dan was a Playschool-manufactured doll designed to teach young children how to use buttons, zippers, snaps, laces, and other fasteners one encounters while getting dressed. 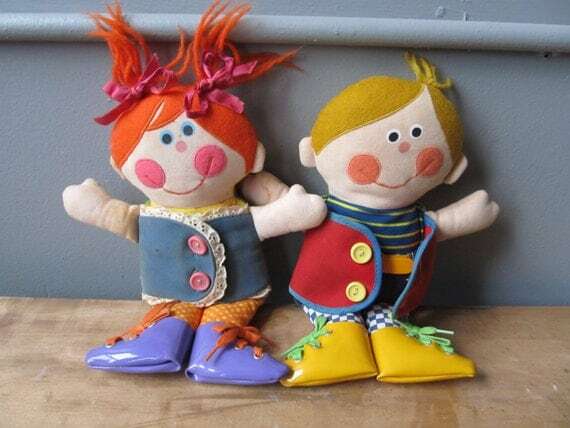 There was a female version of the doll called Dressy Bessy. In any case the dog Duchess dug Dapper Dan dead. @Matt: Here's a link to a photo of both dolls. @BGZ- had you learned Dapper Dan's lessons before his demise? A song so nice, you had to play it 1½ times! @Therese: For the most part. I hadn't mastered tying my shoes yet. My mother sewed new eyes on Dapper Dan. I don't recall if they were bionic. At first I thought this Guerilla Toss track was Devo's "Too Much Paranoias" at a slower speed. Definitely reminiscent of Devo - but you say the Devo song was even faster than this? It sounded slightly slower than Devo. But not as drastic as say a 45 played at 33.
i tried to back up to see if i could see that similarity and my player crashed. beware of "malwarebytes", which is supposed to clean up the nasties in there. ever since i ran it i've had major player problems. Society will get better when there are less films about people secretly being robots or aliens. Or somehow Darth Vader's evil being justified as just a bad childhood. i like this band name, "spirulina". ...Thank you Therese for another fine program. Nice choice, Therese! Getting into real Joe McG/Scott W territory here! Thanks for a terrific show, have a good night everyone! Have a great week, everyone! See you next time.